Thank you to School Tool Box for making back to school easy and sending us our grade level supplies! Did you know there was an easier way to get ready for back to school besides spending countless hours scouring ads for the best deals, then visiting store after store to get the best price for each item? I for one am pressed for time. Going to multiple stores is pretty much out of the question, I’m lucky if I make it to the grocery store before we run out of food. Supply shopping, although one of my favorite things to do (think teacher who loves loves loves school), I just don’t have the time for it. I was so excited to find School Tool Box, because they find all the supplies you need for your student based on their grade level AND the school supply list from their school. The box is customized to give your child the supplies they actually need based on the teacher requests. Plus they use name brand products that you know will be high quality. Since my school isn’t actually set up as a partner school yet (you can just customize a box in that case), I sent the folks at School Tool Box a supply list from my school. My son is entering second grade and we need lots of things this year. They provided everything that was on the list, (except the backpack and clothing items), packed it all in a fun box, and I had it within a few days. Our list included: disinfecting wipes (2), ziplock bags (1), 10 pack of pencils (3), two big pink erasers, glue sticks (8), crayons, two bottles white school glue, scissors, markers, box of tissues, colored pencils, 12′ ruler with metric, 3-ring binder, ear-buds, two folders with pockets, wide ruled notebooks (4). The list also included things like gym shoes, a paint shirt, etc., however, those things were not included in the supply box. 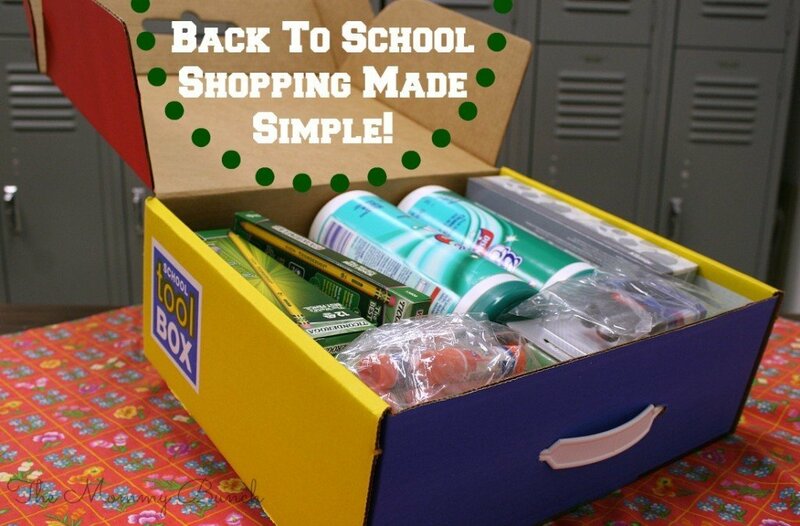 I really like the cardboard box that everything comes in because you can just keep all the items in there until we are ready to take them to school. Our school has a back to school night where we will meet the teacher, which is a great time to bring in all the supplies. This box with a carrying handle is the perfect way to do that! Head over to School Tool Box to see how the program works, order a box of supplies, or even sign up as your school’s parent/teacher coordinator to keep the supply lists updated! Don’t forget to like School Tool Box on Facebook to find out more info! 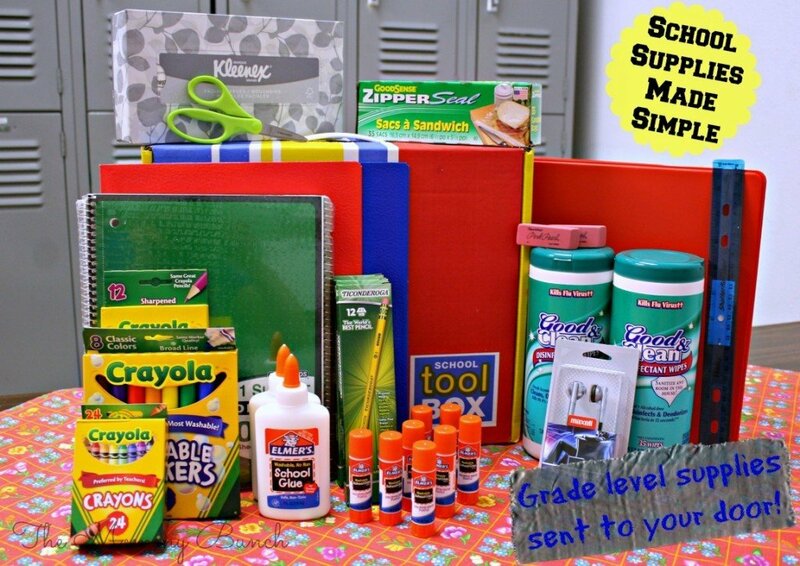 What would you do with the time you save by getting all your school specific supplies sent to your door? PreviousHow party planning is made easy! NextFoodie Friday with the Hundred Foot Journey, in Theaters TODAY!